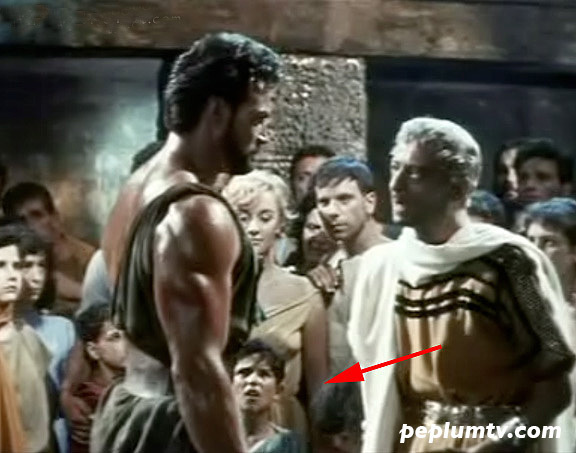 The huge success of PEPLUM films in the 1950s and 60s was due in part to how young kids, mostly young boys, were impressed by the muscly action going on on the big screen. One can measure a film's "success" by what I term the "fascination" aspects within the stories, which made kids flock to theatres to see more and more. 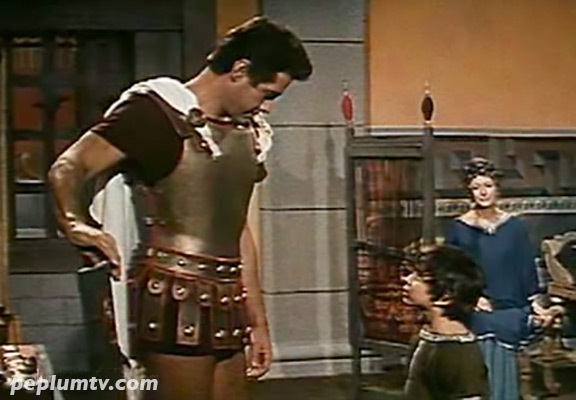 The producers of these European films KNEW about this (unlike today's films) and they intentionally tried to milk it for all its worth, even having a kid hang around in one scene to gawk at the big Hero. IMO, this is what makes these films so great and fun, and unique. Today's action films have none of this 'fascination' aspect and I'm rarely impressed by any Hero or stories. The PEPLUM films from the Golden Era knew how to bring out the little kid in all of us. From HERCULES UNCHAINED. The kid is not acting there. He's mightily impressed by Steve. I believe that what you say in this section is true for me. These guys weren't afraid of anything or anybody, whereas I always was.